Lim Fried Chicken is a chain of restaurants that has been in the F&B business for 36 yeas since 1983. 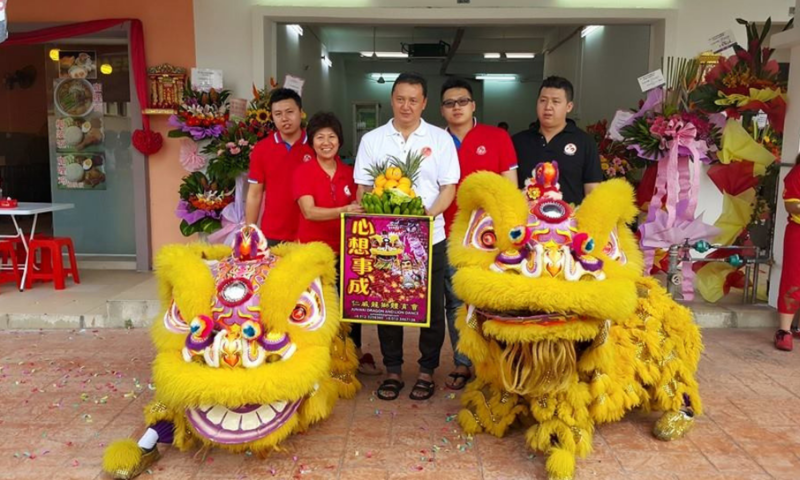 The Lim Family moved from their first and original location at Subang Jaya SS14’s Wong Soon Kee coffee shop to their own outlet in SS15 after 32 years and currently have 7 outlets in total. One of the brands that is strongly associated with fried chicken in Malaysia is KFC. The first KFC (Kentucky Fried Chicken) outlet popped up in Malaysia at Jalan Tunku Abdul Rahman in 1973 and since then they have opened up more than 600 outlets across Malaysia over the years. 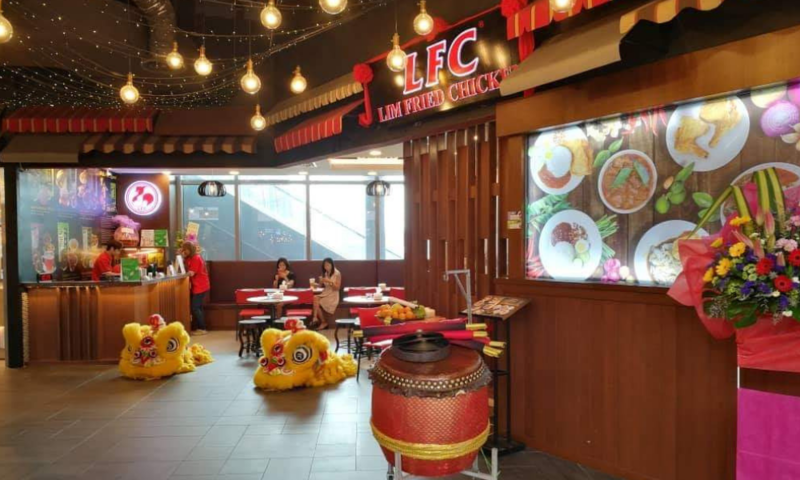 However, although popular in their own right, little is known of the origins behind a similar sounding brand called Lim Fried Chicken—LFC who made their name in Subang Jaya. LFC began its story 10 years after KFC first stepped foot in Malaysia in the year 1983, and opened their first hawker stall in SS14’s Wong Soon Kee coffee shop. 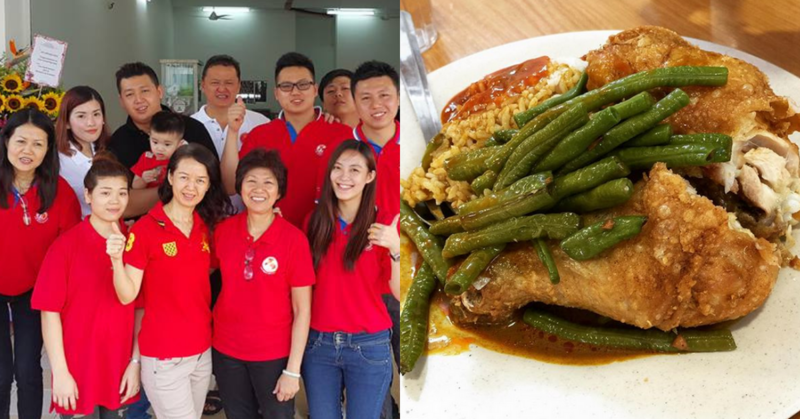 We managed to get in touch with the people behind Lim Fried Chicken; however the founders, Mr and Mrs Lim prefer to stay away from the fame and keep themselves from the spotlight. One of their sons, Jordan Lim, who helps his parents run the business, answered our questions instead. The LFC franchise is run by his parents who are almost in their 60s and three brothers including Jordan. According to Jordan, the journey of LFC began when his parents took a leap of faith and rode their motorbike from Melaka to Subang Jaya to rent a stall and start their own business. It wasn’t easy especially in the 1980s as they couldn’t even sell a whole chicken when they ran their business from 7AM in the morning until 9PM at night. Usually whenever they have leftover chicken, the Lim family will be the ones finishing it up. LFC has grown from its humble original location in Subang Jaya SS14’s Wong Soon Kee coffee shop to a chain of 7 restaurants located throughout Klang Valley. They began to expand to 7 outlets when they moved out of their original stall as the brothers had more free time to help their parents and concentrate on the business. 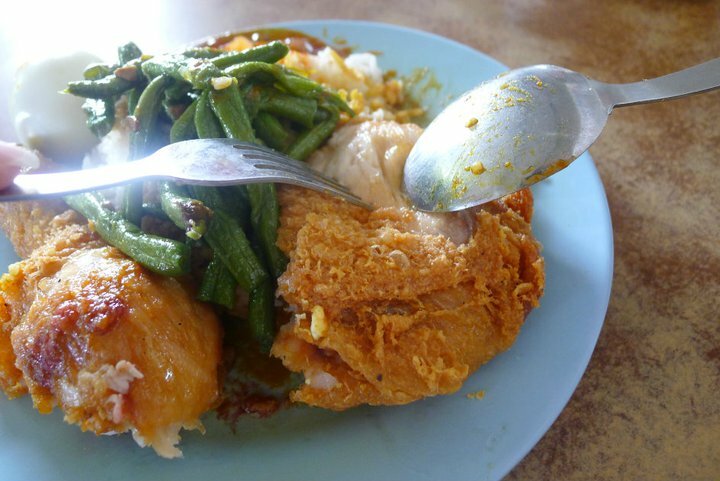 The now famous Lim Fried Chicken was originally only served from 2PM–6:30PM at the SS14 stall, an odd time considering it’s after lunch hour and before dinner. 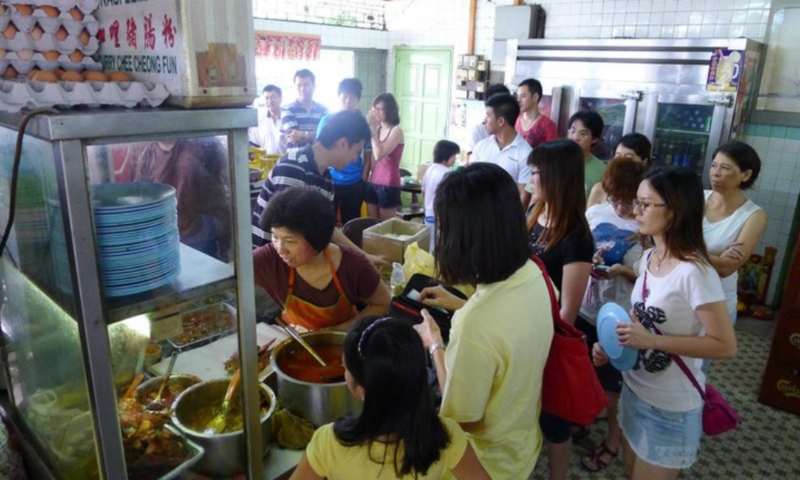 But that didn’t stop fried chicken lovers from forming long queues to take away packs of piping hot fried chicken with a choice of either rice with sambal or curry chee cheong fun. Jordan mentioned that it wasn’t by choice that they moved out of the SS14 stall as there were difficulties with renting, and they had to move out after operating there for 32 years. But, that led to them opening their very first outlet at SS15 in 2015 and the rest is history. “When you open your own outlet, it’s like starting from the beginning again,” mentioned Jordan. He explained that during the first few weeks after opening up their outlet at SS15, expectations from customers were higher as they expected the quality to be maintained or even higher. Although the LFC team did everything the same as they did in their old stall, there were still complains that the taste and “feeling” was different. However, Jordan understands that it’s a never-ending battle and that the team will always strive to keep on improving and making their customers happy. “We will keep on improving in terms of the environment, ambience, food quality in terms of temperature and display depending on customers feedback,” he explained. “Today, it’s considered to be more stable compared to when we just moved out,” he said. Even though their SS15 outlet has been opened for 4 years, they currently have 7 outlets to manage and Jordan feels that it’s a challenge on its own to control the quality of the food and manage the staff well. Although LFC has been offered by plenty of business partners to work together and expand through a corporate model, the LFC team however turned those offers down. The reasoning was that they currently feel that they’re not ready to expand further as they’re afraid that things will be out of their control such as food quality. According to Jordan, in the F&B industry, consistency is key. So far, it has paid off as LFC still sees plenty of customers flooding their outlets seeking for their famous fried chicken no matter the time of the day. “For us, we’re considered lucky as we’re always concerned about all the feedback that customers give and we’re very happy when we see customers giving us high ratings, which really motivates us to continue,” said Jordan. As the business has been around for 36 years, there has been customers across generations coming regularly. “In this 36 years, it has brought many memories to us and our customers. Like grandfathers bringing their child to eat, friends coming to the outlet after school as a gathering place and even some grandparents bringing their grandchildren,” he explained. Jordan hopes that Lim Fried Chicken can one day represent Malaysian food in the Fried Chicken category such as how KyoChon represents Korean Fried Chicken. If you would like to find out more about Lim Fried Chicken, you can check it out here.